While all of Washington was focused on the miseducation of a judge brought up in privilege, all of Broadway came out to support the man behind a program providing educational opportunities in the arts for the underserved. And I’m not talking about just any guy — this is the Big Kahuna. The Top Banana. The composer that makes all the other composers look like pischers. None other than Lord Andrew Lloyd Webber. The Wing, in its infinite wisdom, chose Andrew as honoree at its annual black-tie gala not just for his creative contributions (the guy’s had more hits than Jose Canseco), but also for that philanthropic spirit. 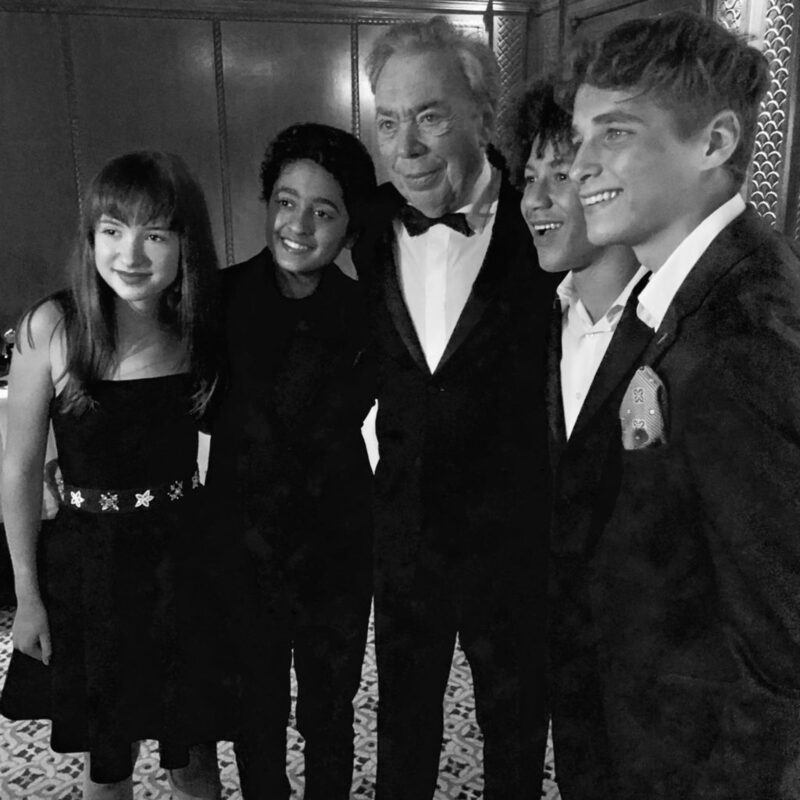 In 2016, his foundation — which has been hard at work in the UK for years to provide educational opportunities in the arts for underserved kids — partnered with the Wing to expand that mission to the States with the creation of the Andrew Lloyd Webber Initiative. Since that time, the Initiative has helped some 22,000 youngsters from coast-to-coast pursue their dreams. As good a reason for a Gala as I’ve ever heard, no? Among the highlights from the program? Well, five recipients of ALW Initiative scholarships spoke from the heart about their dreams, leaving nary a dry eye in their wake. Norm Lewis took the title song from Phantom of the Opera and hit it square out of the park. (That’s my second baseball metaphor in a single column— a record, for those keeping count.). Sierra Boggess took “Wishing You Were Somehow Here Again” and performed it in English, Japanese’s, and French — a subtle reminder that Andrew’s impact is nothing short of a global phenomenon. Reining Tony queen Katrina Lenk’s “Song and Dance: Tell Me on a Sunday” and Brandon Victor Dixon’s “Heaven on Their Minds” both brought down the house. And Alex Newell’s “As If We’ve Never Said Goodbye” caused a sensation in the room and then another one on Jordan Roth’s Instagram feed! But it was the final performance of the night, 17 year old ALW Initiative scholarship recipient Sydney Lopes doing “Whistle Down the Wind” — accompanied by a band full of kids from the Broadway production of School of Rock, that resonated the loudest, driving home the reason that we were all there. The evening concluded with Andrew’s daughter Imogen Lloyd Webber bringing her dad onstage so that Wing chairman David Henry Hwang could present him with his honor. Andrew — true to form — used the platform to talk about the importance of arts education. The message was clear. We know what providing these kinds of opportunities can mean for underserved young people with big dreams, and we know what we have to do to make sure they have the kind of access they deserve. Now if we could only figure out what to do with these privileged prep school boys! Finally, on a somber note, we said goodbye to another theatrical giant this week. Press agent Merle Debuskey, who lived the kind of life you read about in sprawling American novels, passed away on Tuesday, September 25 at the age of 95. He had seen it all, done it all, and touched so many in the process. He may be gone, but, unlike so much in this all-too-ephemeral art form, his legacy is here to stay. Overheard Donna McKechnie inquiring about the difference between two different coconut waters at a bodega on 8th Avenue. Saw Kerry Washington giving Jimmy Nederlander, Jr., a big hug at Audience Reward’s 10th Anniversary Celebration.